From Agee to Astaire, Steinbeck to Ellington, the creative energies of the Depression against a backdrop of poverty and economic disaster. 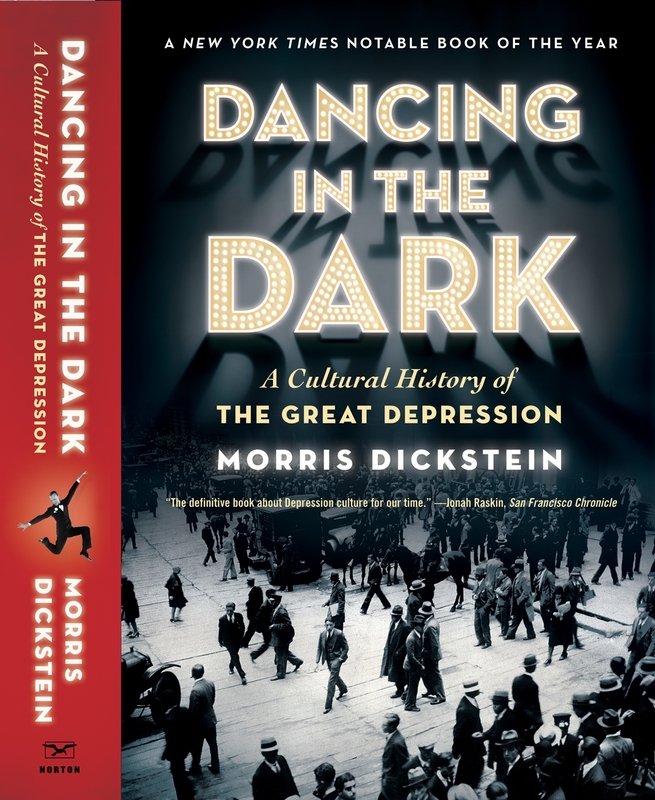 In this timely and long-awaited cultural history of the 1930s, Morris Dickstein, whom Norman Mailer called “one of our best and most distinguished critics of American literature,” explores the anxiety and hope, the despair and surprising optimism of distressed Americans at a time of dire economic dislocation. Bringing together a staggering range of materials—from epic Dust Bowl migrations and sharecropper photographs to zany screwball comedies, wildly popular swing bands, and streamlined Deco designs—this eloquent work highlights the pivotal role of culture and government intervention in hard times. Exploding the myth that Depression culture was merely escapist, it concentrates instead on the dynamic energy and insight the arts could provide and the enormous lift they gave to the nation’s morale. Dancing in the Dark shows how our worst economic crisis, as it eroded American individualism and punctured the American dream, produced some of the greatest writing, photography, and mass entertainment ever seen in this country. Winner of a 2010 Ambassador Book Award in American Studies. Interview with Inside Higher Ed on Dancing in the Dark and the 1930s. March 10, 2010. Interview with Prairie Public Radio. September 8, 2010. Talk on “Art and Social Crisis” at the Creative Time Summit, New York Public Library, October 2009. New! ?free signup bonus no deposit mobile casinoThe Urban Spectacle of Reginald Marsh,?Swing Time: Reginald Marsh and Thirties New York, New York Historical Society, 2013. New! The Milk of Human Kindness. Review of A. B. Yehoshua, The Retrospective. Moment Magazine, March-April 2013. New! The Daily Round. Review of two collections of essays by Phillip Lopate. New York Times Book Review, March 3, 2013. New! Carl Van Vechten and the Harlem Renaissance. Times Literary Supplement, May 4, 2012. New! free signup bonus no deposit mobile casinoLillian Hellman Remembered. American Repertory Theatre News (May 1993).